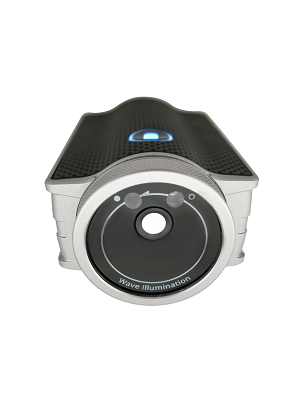 British start-up, Wave Illumination, is launching WaveGo, a simple, yet highly accurate handheld light measurement system that is able to characterise light sources across various locations. Poorly lit buildings impact our circadian rhythms, productivity and health. On average, we spend 90% of our time indoors under artificial lighting. Good lighting reduces the risk of health problems, increases safety, and enhances productivity. Inadequate and unsafe lighting can be extremely dangerous with many injuries and deaths caused every year. From wellbeing and design to efficiency and compliance, applying spectral knowledge can improve our lit environment. To manage light quality, it is important to be able to measure in-situ. Measurement is an important first step in understanding light around us, as it drives the solution. However, measurement devises currently available are difficult to use, inaccurate and unconnected. The WaveGo harnesses Ocean Optics Technology along with the power of the user’s smartphone to deliver quick, accurate and essential metrics for quantifying light on the go. The device captures not only the lux, and intensity of light, but also colour temperature, colour rendering, and perceived colour information. The handheld lighting measurement device connects to the WaveCloud, an online data storage platform, the data is recorded and instantly shareable via email and accessible anywhere from app or desktop.